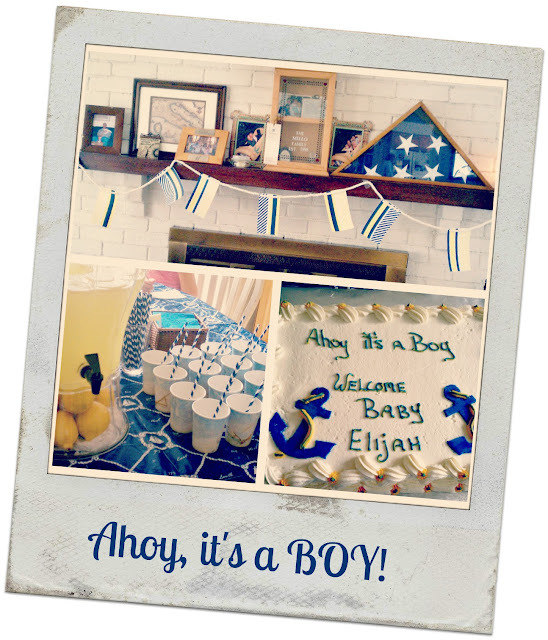 My super crafty sister-in-law Kat just threw a Nautical inspired baby shower. She not only threw one gorgeous shower, but she did it on a majorly TEENY, TINY budget! I wanted to share her pictures and some of her money saving tips with you. 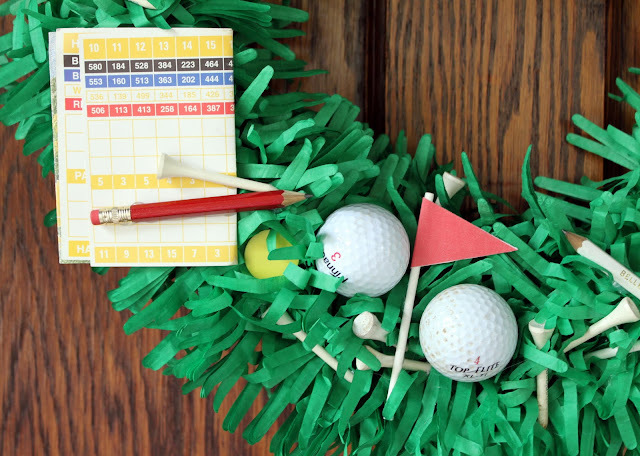 PARTY $AVING TIP #1: Use FREE printables! 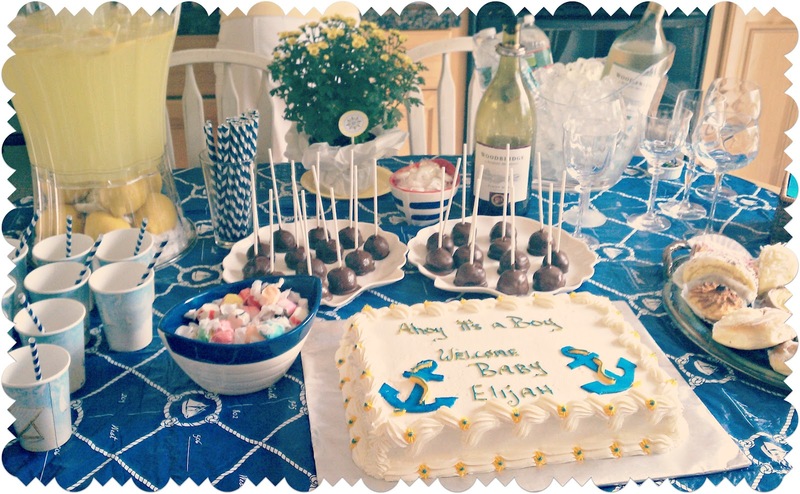 Kat used the ultra classic and darling Anchors Away Baby Shower free printable collection created by Kim of The TomKat Studio exclusively for Pottery Barn Kids. Not only did the collection include an invitation, but also flags, circles, favor tags, and garlands. I have to say it again, it was FREE!!!! 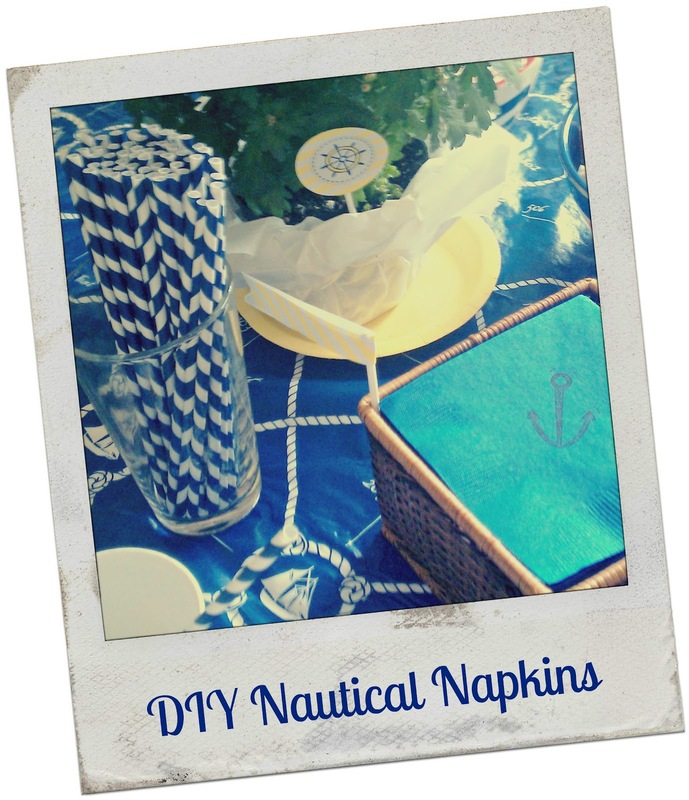 Kat made her own custom napkins with a $1.50 anchor stamp from Michaels and blue Dollar Store napkins. PARTY $AVING TIP #3: Pick a few items to splurge on, then DIY the rest. 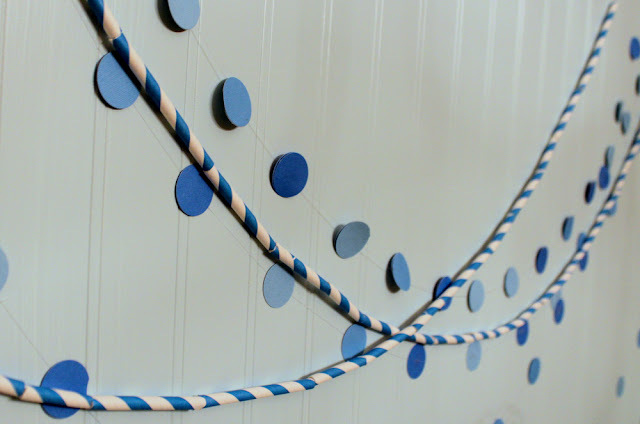 Kat made all the decorations herself, so she was able to splurge on the cake, the navy paper straws, and drink dispenser. 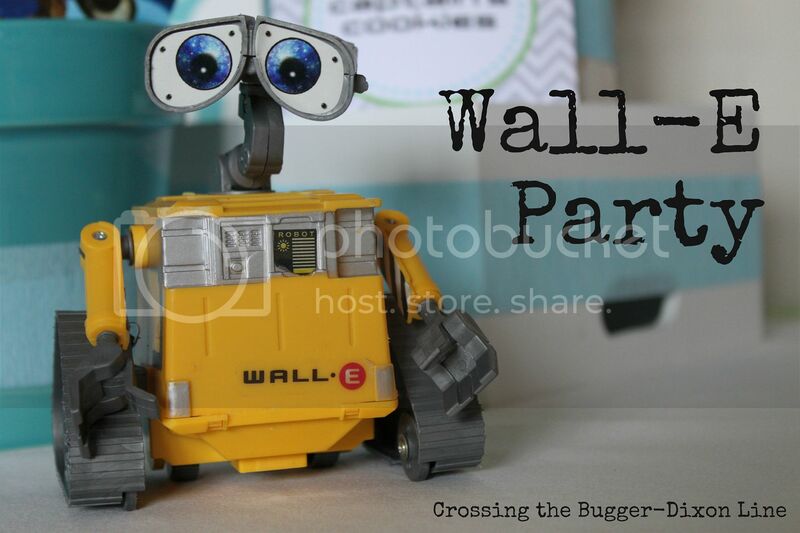 Hope this inspired the frugal inner party planner in you! If you are looking for more great nautical party ideas, head to my Nautical Pinterest Board. Fabulous! I am so glad she was able to use our printable designs! Its amazing and i wonder how she done this under budget.